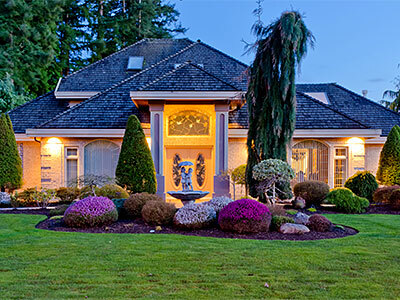 Preferred Landscape is a full service landscaping company. We provide a wide range of landscaping services for both residential and commercial properties throughout the greater Louisville Kentucky region. Whether you are starting from scratch and building a whole new landscape setting or you are updating your existing landscaping; we are the company for you! Our team of experienced professionals including landscape designers and landscape contractors will custom design, install and maintain your landscapes from start to finish. Our expertise is only limited by your imagination. We specialize in turning our client's visions into reality. Our team has the knowledge and the experience to create or transform your landscaping into a beautiful natural looking environment; one that you will be proud of and enjoy for many years to come! 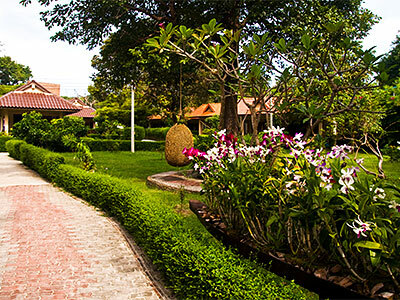 Landscaping makes a huge impact on the overall perception of your property. If you have dull lifeless landscaping your property can tend to give off that impression overall. Let us enhance and transform your current landscapes by creating real curb appeal. Preferred Landscape will boost the presentation of your home or commercial site and take it to the next level. Spending a little time and money on your landscaping is a great investment for the future and will preserve the value and aesthetic appeal of your home or business. We will sit down with and design a landscape plan that will make your property the envy of the entire neighborhood. No job is too small or too large for us and we will work within your budget. Preferred Landscape can complete any landscaping project you may have in mind for we understand that each client has unique tastes and needs. We have the team ready to do the job right and we have the equipment ready to get the job done efficiently and on time. From the planning and designing of the project, to the building and installation, right down to the maintenance; Preferred Landscape has it all covered; we are your one stop landscaping shop. Our contractors only use the highest quality landscaping products and materials so that your project is not only stylish and elegant to look at; but it will also be durable and last a lifetime. We pride ourselves on making our clients happy and we do this by providing friendly services with top notch workmanship!